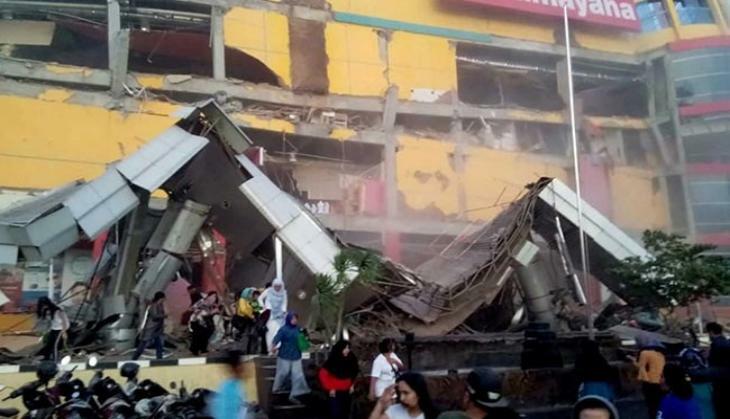 The death toll of quake-tsunami struck Indonesia has risen to 832 from 384, Indonesia's national disaster mitigation agency confirmed. The Indonesian island of Sulawesi was hit by an earthquake that led tsunami on Friday. All the deceased were from tsunami-struck Palu. However, the officials have also warned the death toll are likely to rise. Hospitals across the region were struggling to handle hundreds of injured and rescuers struggled to reach to the people stuck. Several people were treated in an open air after hospitals were overwhelmed by the growing number of injured while other survivors helped to retrieve the remains of those who died. One man was seen carrying the muddy corpse of a small child. In the city, where around 350,000 people lived had witnessed partially covered bodies lay on the ground near the shore, the day after tsunami waves 1.5 metres (five feet) came ashore.